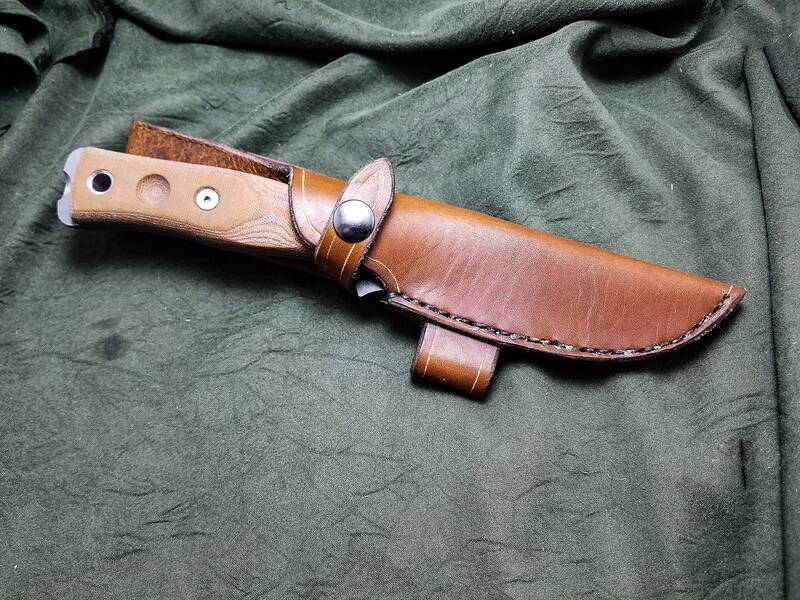 This sheath differs from our other BOB sheath in that it has a vertical belt loop instead of the horizontal scout straps. The knife is secured in the sheath via a leather strap that snaps closed. 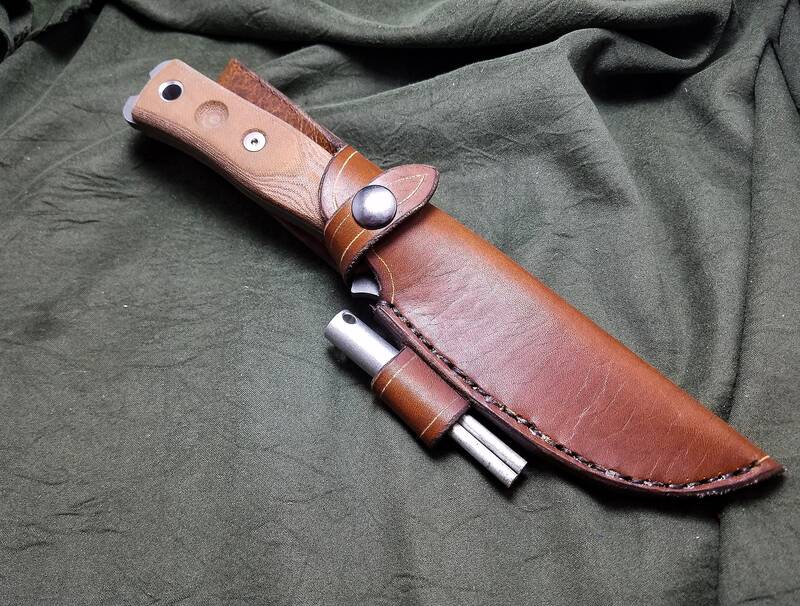 Also available is a firesteel loop on the side of the sheath,made to fit the TOPS firesteel, but will accept most firestarters. As always, this sheath is fully customizable, so feel free to message me if you have any questions or ideas. 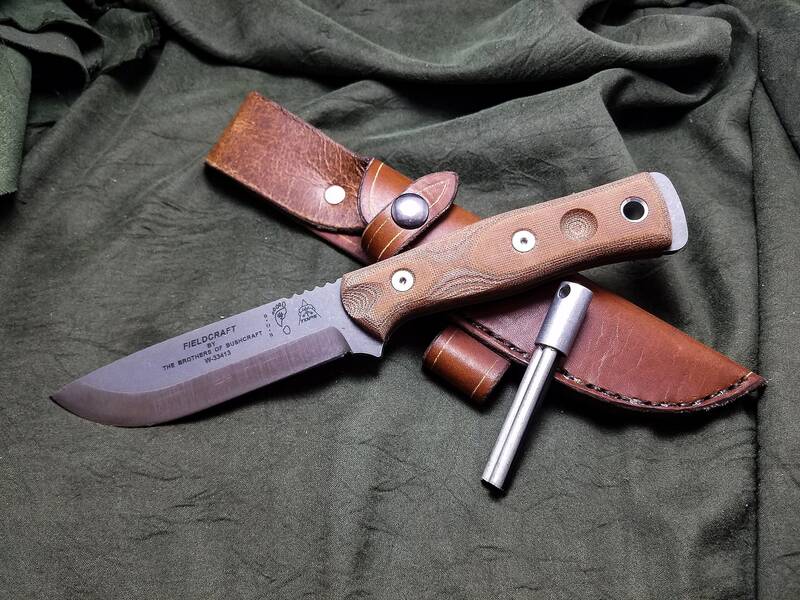 *This listing is for the sheath only, no knife or firesteel is included with purchase. Excellent sheath. Well constructed. Good leather. Fits my BOB knife perfectly. If I need more leather work, I know where to go.